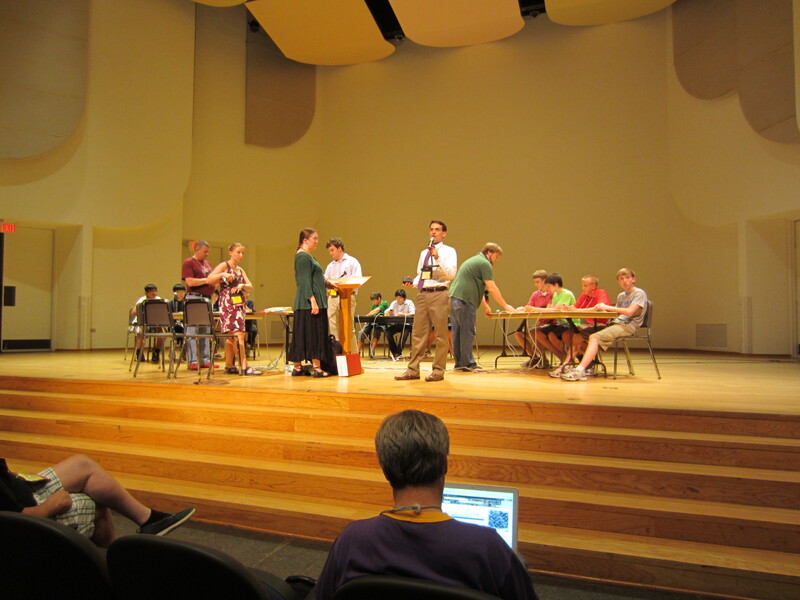 The National Certamen Competition takes place during the NJCL Convention during the last week of July each summer. The OH Novice Team won the 2012 National Championship! 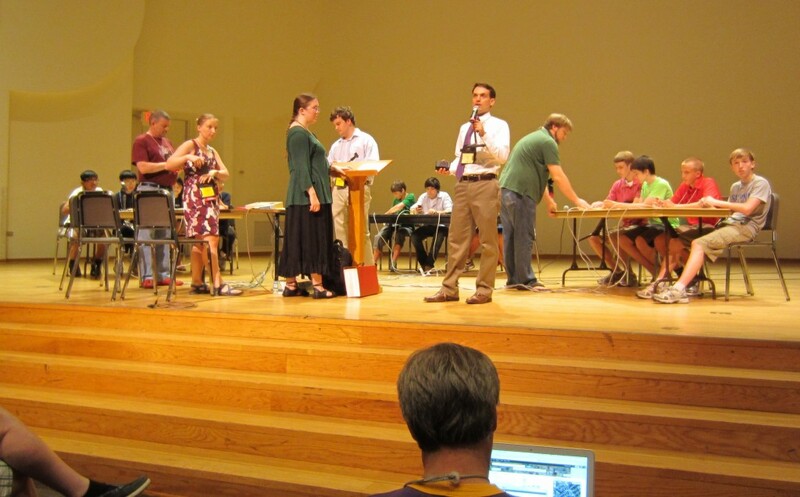 The 2012 OH Novice Certamen Team on stage at the NJCL Convention. I. Language Skills: Latin vocabulary, grammar and syntax, forms and inflections, derivatives and etymology, translation, abbreviations and phrases in current English usage, oral comprehension. II. Mythology: Gods and goddesses, heroes and heroines, Greek pre-history (the Trojan War, city foundation legends, etc. ), Roman pre-history (Aeneas and the Aeneadae through Romulus and Remus). IV. Literature (Advanced Level only): The important Roman authors from every period and all important works of Roman literature; rhetorical and poetic terms and devices (including the most important meters: dactylic hexameter, elegiac couplets and hendecasyllabic); recognition and analysis of passages from various authors. Students should pay particular attention to passages from the Aeneid, with identification of speaker and interlocutor. Roman pre-history (Aeneas and the Aeneadae through Romulus and Remus). Here is the breakdown for a 15 question round for advanced: 6 on language skills, 3 on myth, 3 on hist/cult, and 3 on literature.